It really does seem like an easy task, but truthfully the way house plants are watered cause more of them to die than anything else. These watering tips for indoor plants should help in keeping your plants happy and healthy. Every plant is different; Roses require different amounts of water to say Lillies. You need to consider the species and where it come from, its natural habitat, the kind of soil it’s planted in, the temperature, lighting, and humidity in your home or surrounding the plant. Plants that have an expansive leaf surface or that are lush with foliage will certainly require more water than plants with less foliage or that have leathery or wax like leaves. A plant’s need for water also depends on the growth cycle the plant has. A plant will absorb more water and moisture when it is actively growing than when resting. You also have to consider the type of pot the plant is in. If it’s in a smaller sized pot, moisture will be quickly absorbed, a pot that’s too large will hold too much water. A plant that has been placed in a porous pot, like clay, will require water on a more frequent basis than a plant placed in a glazed or plastic pot. Are you worried about the white crusty build-up on the top of your plant’s soil? It’s an accumulation of the soluble salts contained in fertilizers and tap water. This build-up is unsightly and it can cause damage to roots and foliage alike. What you’ll see is wilted looking, yellow or leaves that appear scorched. The good news is that you can easily get rid of these excess salts. Take your house plant and place it in a sink, or move it outdoors if the weather is warm. Using tepid water, pour over the soil or potting mix. Let the water naturally drain out of the plant through the holes in the bottom of the pot. Then pour more water on the soil or potting mix, letting it drain out. When you’re finished just pour the water out of the drainage tray. This will take only minutes and allow your plant to feel better and be healthier. You can use a moisture meter to inform you how much moisture is still in the soil. Plants should be thoroughly watered and then given time to somewhat dry out before they are watered again. Watering should be done well, but not all the time. If you do not own a moisture meter, use your finger to pierce the soil up to your first knuckle. Then you can tell how dried out the soil is and if your plant needs to be watered again. If the soil feels moist, it’s not time yet. If the soil feels dry, it is time to water. 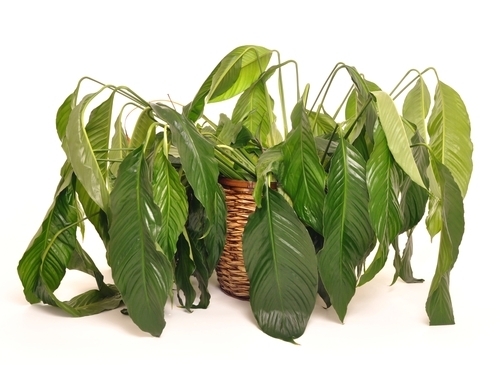 When you over-water your house plants you are most likely causing more damage than would be caused by under-watering. The roots can only absorb as much water as the plant requires. 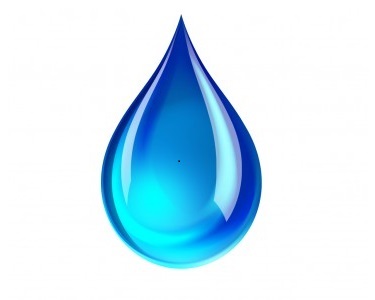 Any excess water removes oxygen from the soil. Because plants require oxygen just like humans, soil soggy with water actually suffocates the roots and they just begin rotting. Lean the plant sideways for a couple of minutes allowing excess water to just drain off. Use paper towels to absorb excess water and moisture from the surface of the soil. Keep replacing drenched towels with dry ones until the excess moisture is gone. If you notice the plant wilting or losing leaves, immediately put the plant into a new pot with good drainage using fresh soil. 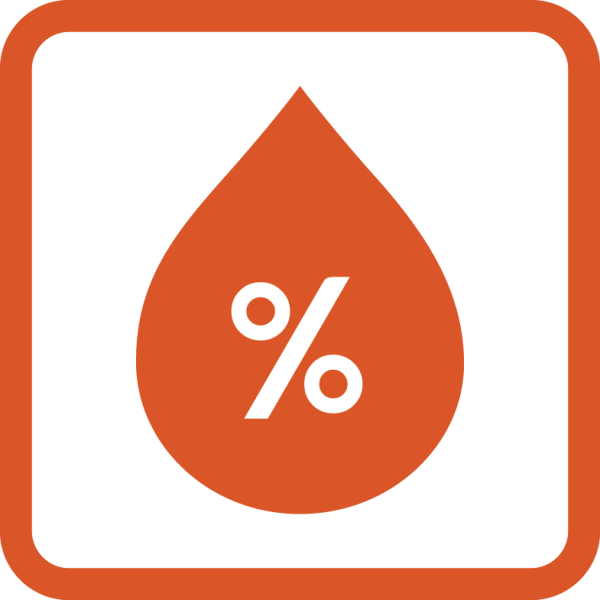 Water should be at room temperature (68° F or 20° C). Water plants thoroughly and allow them time to dry out some before you water again. Do not over-water as this is the main cause of death for house plants. There are many plants that can benefit from a higher level of humidity than homes usually have. If you have tropical plants they are at their healthiest with average humidity about 50% - 60%, which is much higher than in many homes. In winter, homes can become very dry due to the fireplace and furnace creating a constant stream of hot air blasting into the house. This creates an arid environment which might be fine for a succulent or cactus. But for normal house plants that have come from the tropics, you should increase the moisture content or humidity in the air surrounding them. If you’re only concerned about one particular room, a room humidifier will do the job. Select one that provides a cool, fine mist spray. Put the humidifier as close as needed to give your plants the moisture they need, but not so close that the foliage gets wet. Using a hand mister that gives off a fine spray, mist your plants every single day, or as you see it’s needed. Using water at room-temperature spray a fine mist so big droplets of water do not settle on the foliage. This is only going to work well if you are able to mist your plants several times a day due to moisture evaporating very quickly. Set the potted plant on a tray you’ve filled up with wet pebbles. Fill the tray with only enough water so that the pebbles on the top half of the pile don’t get wet and neither does the pot. The water will start evaporating, which will raise the humidity level in the air surrounding the leaves of the plant. These trays are specifically called humidity trays or pebble trays and they keep any excess water draining out of a plant contained so that floors and furniture are not damaged. The excess water just stays in the tray and then evaporates, which is what you want to raise the humidity levels surrounding your plant. Humidity trays are easy to take care of, only needing to be washed occasionally with soap and water. Arrange your plants in groups with several close together. Because plants emit moisture on their own, this in and of itself will raise the level of humidity in the area surrounding the grouping. How can you tell if your house plant needs more humidity? Look at your plant carefully and you will see the tell tale signs of sickness due to low humidity.